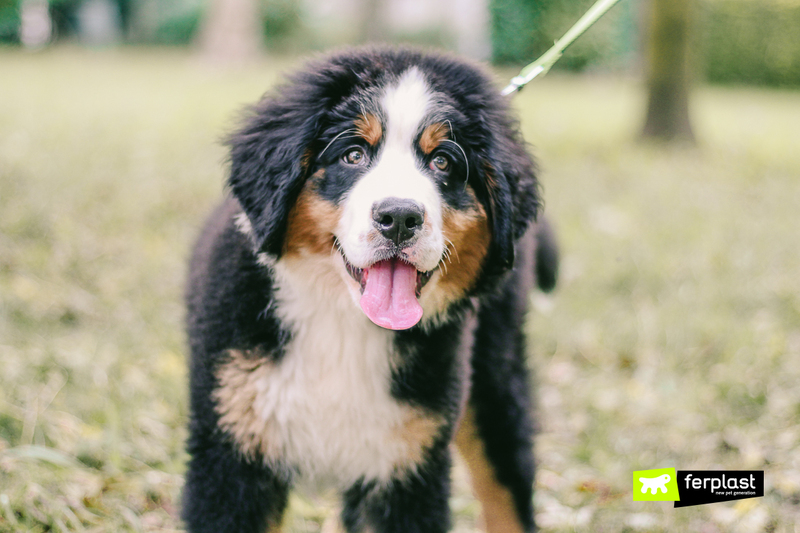 The Bernese Mountain Dog looks a lot like a teddy bear, with long hair, big paws and a face made to be smothered with kisses. The name may not mean much to you, but a photo will allow you to associate it to his image. 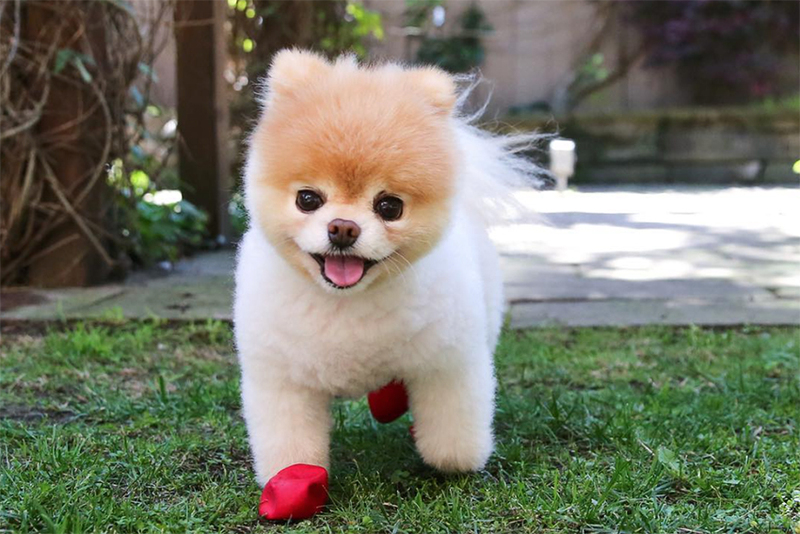 Let’s discover this cute dog breed together! 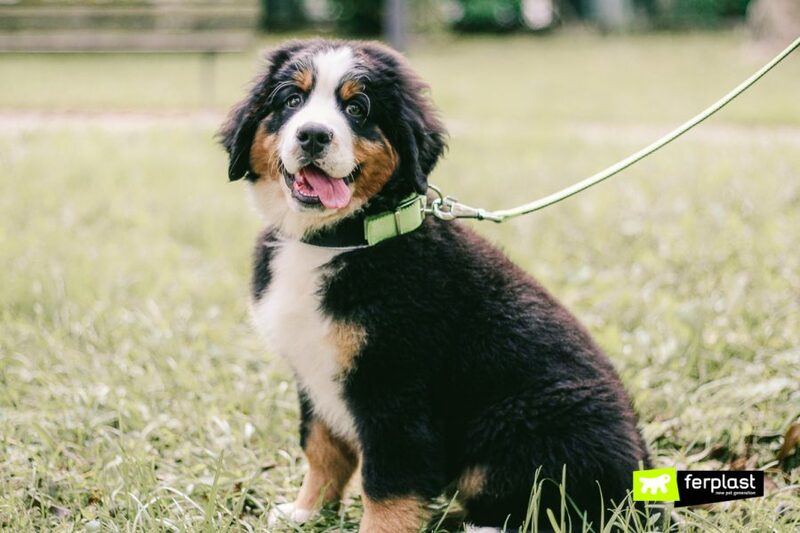 The Bernese mountain dog is a breed that originally comes from Switzerland, from the Canton of Berne to be exact, and is well-known for having an outstanding ability as a guard dog and for pulling carts and for looking after herds. 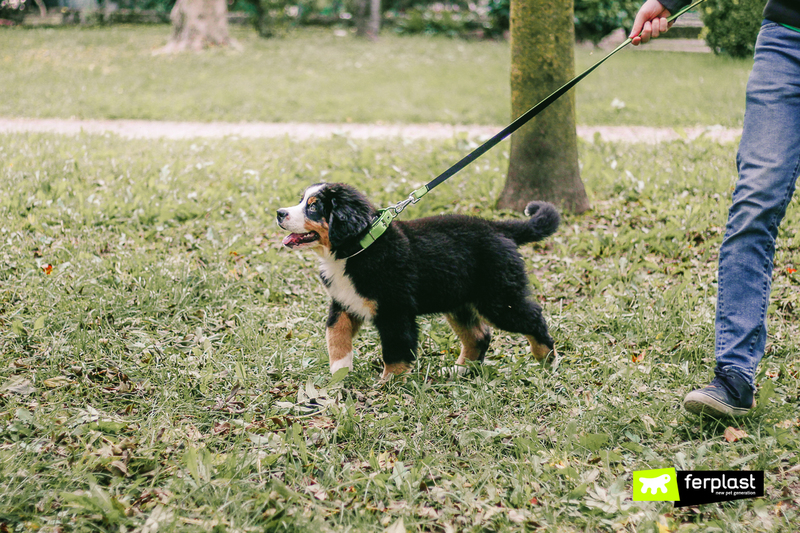 Anyone who wants a large dog – and has a lot of space at their disposal – can adopt a Bernese Mountain Dog: as an adult, this dog weighs up to 60 kg (for males) and stands 70 cm tall, but still has a well-proportioned and harmonious build. 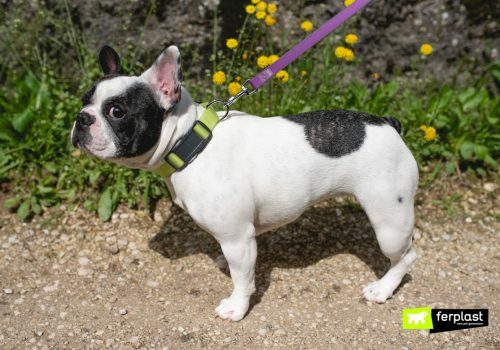 His head is very large, with two long, soft, dangling ears and deep, dark almond-shaped eyes. 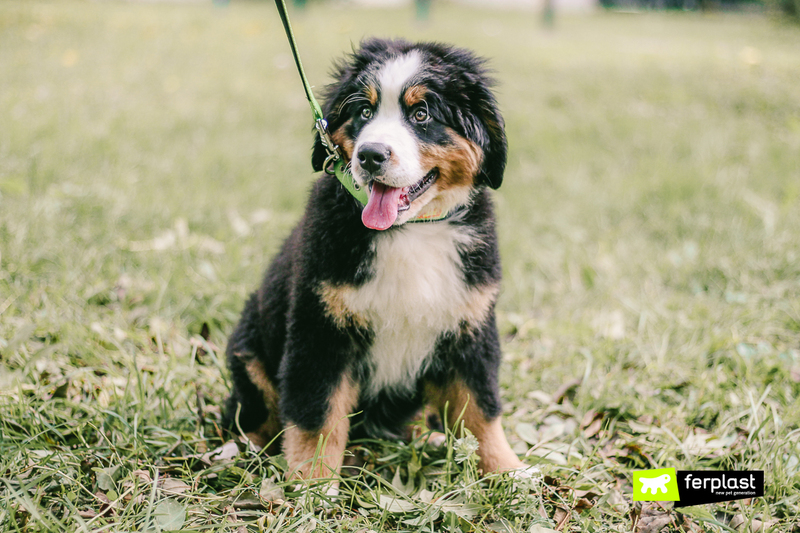 One distinctive feature is a wide, black nose, like that of a bear, which makes the Bernese truly adorable! 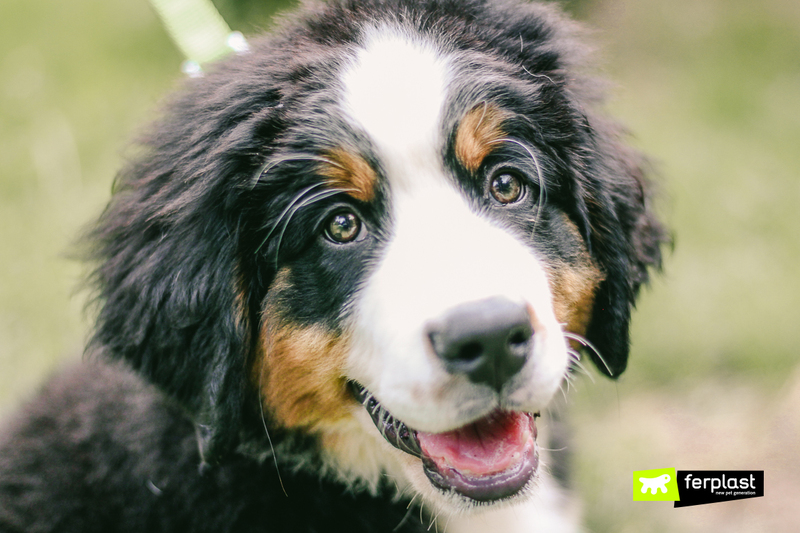 The Bernese mountain dog has a beautiful, thick coat of three colours: black, brown and white. 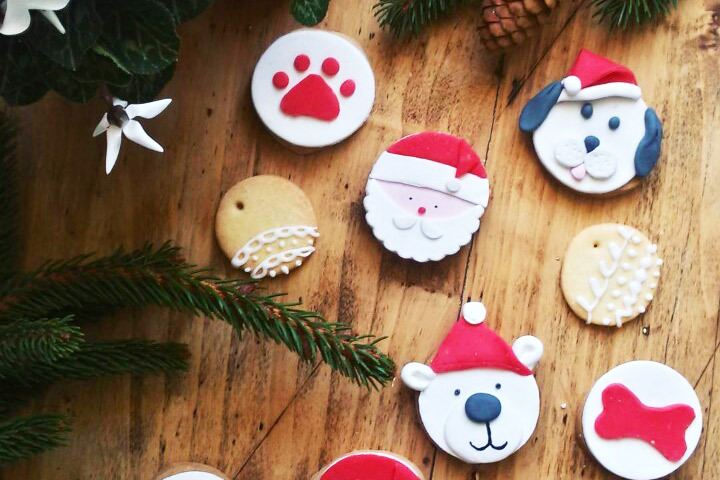 The colours are so evenly distributed that they highlight the dog’s strong points. His hair is mostly smooth, except in certain areas, where it is slightly wavy, and daily brushing is very important, to keep it looking shiny at all times. 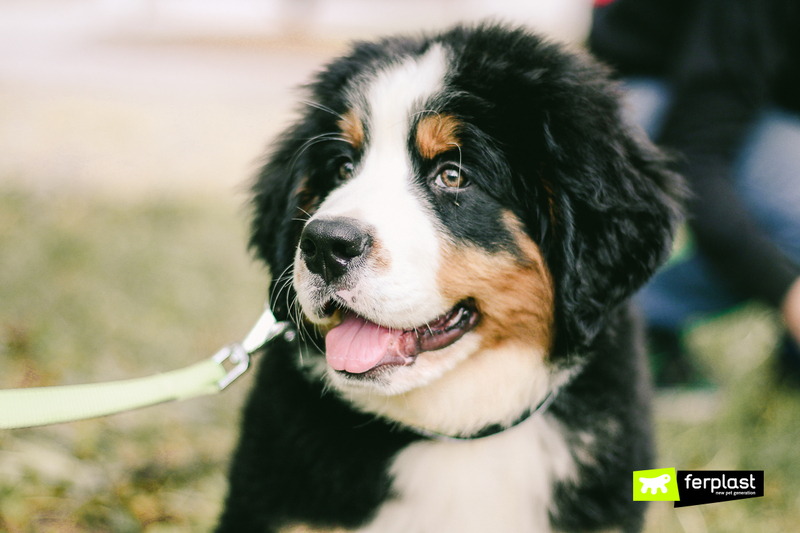 Some of the Bernese’s distinctive character traits are his intelligence and good, joyful, curious nature. For all these reasons, he has been considered an able guard dog and of great help to shepherds. He is very protective and gets along with everyone, dogs and people, yet he is never intrusive and always waits for his master’s permission before letting himself be pampered by a stranger. 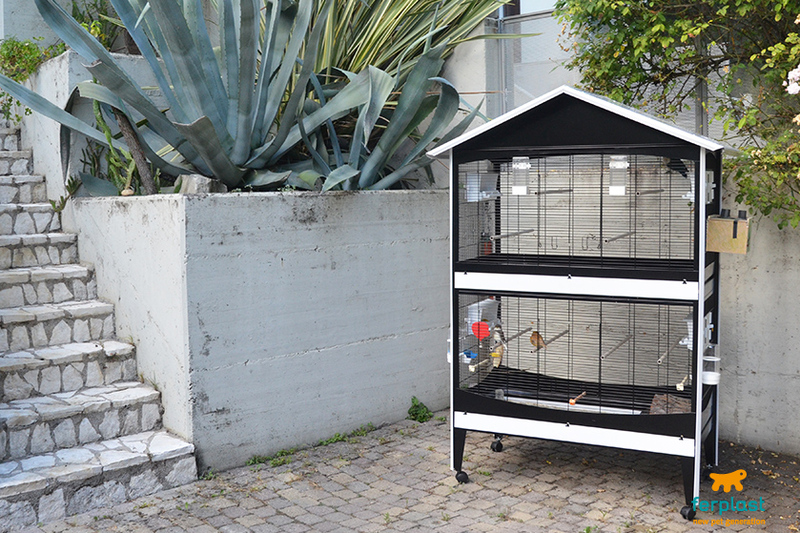 He really loves being outdoors, so it is a good idea to always have a large space in which he can play and have fun. 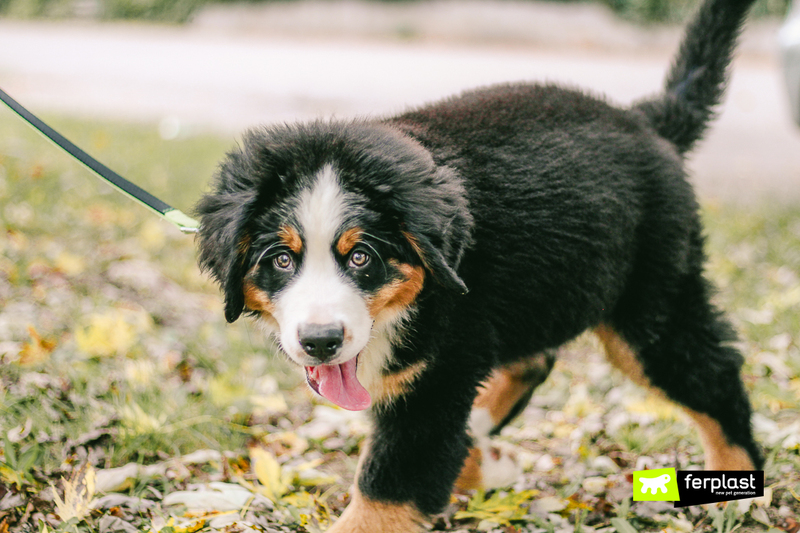 The Bernese Mountain Dog is capable of learning commands and directions very quickly, but has the bad habit of biting everything he comes across. Therefore, don’t leave any precious objects unattended, because when he’s around they will almost certainly come to a bad end! 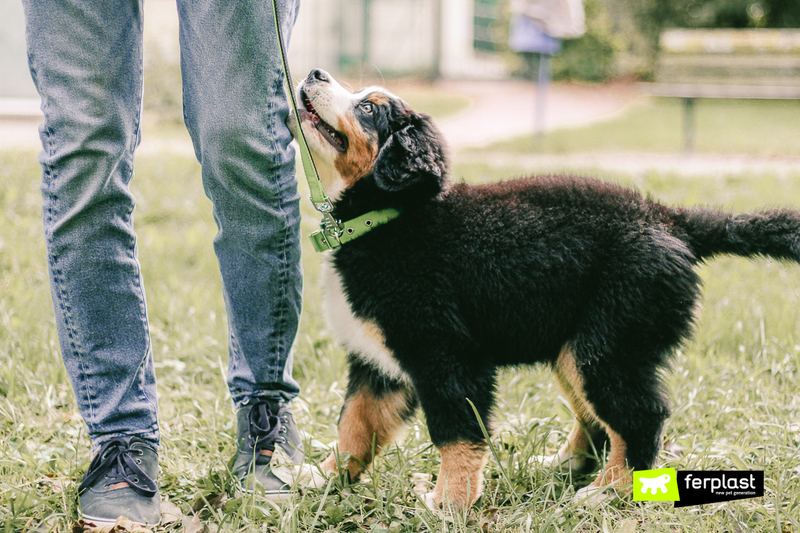 Unlike other dogs, the Bernese will obey no more than two people, those he considers his leaders. 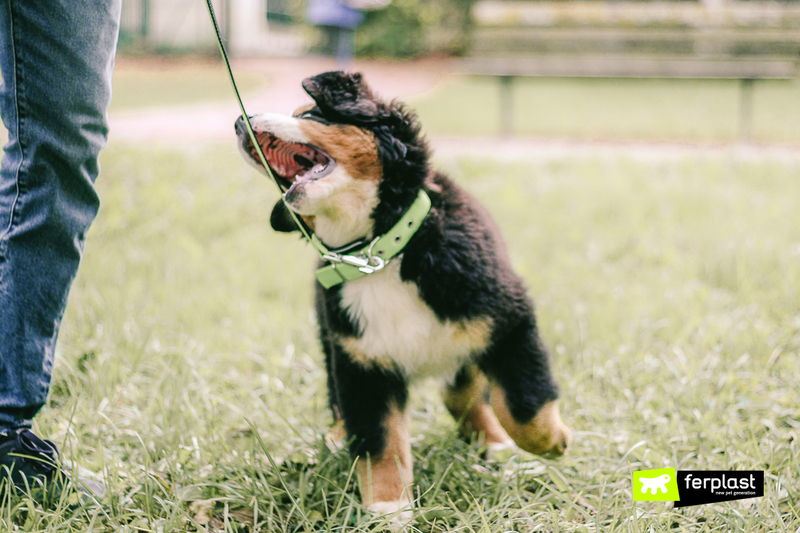 Bernese puppies are particularly funny and awkward and they also sleep a lot: just a few minutes of play makes them tired, but don’t be alarmed, because this is completely normal behaviour for them. As they grow up, they will become an inexhaustible source of energy and you will find yourself almost missing those countless naps they took during their “childhood”! 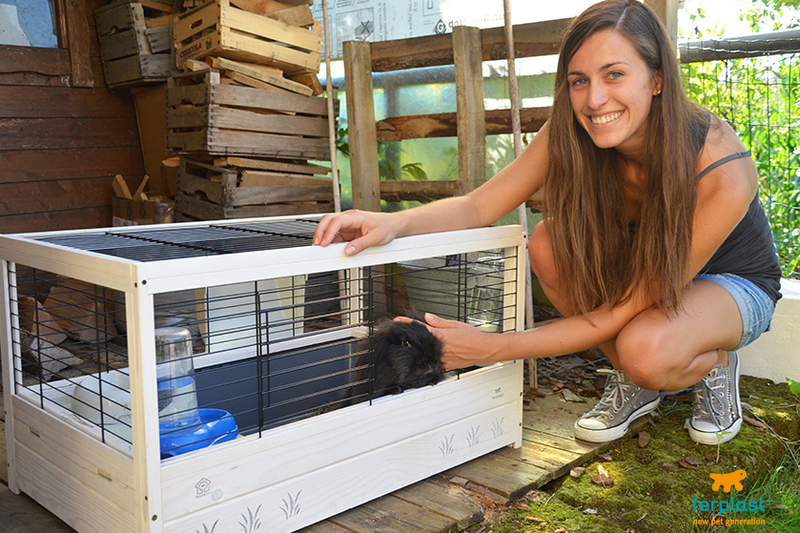 Look how much fun our model, Penny, is having. It’s impossible not to smile as you look at her in these photos!